Bailey was born with a passion for all things real estate from her dad and a keen eye for design and style from her mom. Her objective is to help buyers and sellers identify their wants and needs as well as achieve their residential real estate goals. Bailey knows the Dallas real estate market well and is prepared to help clients with all of their needs. Bailey graduated from the Hockaday School before heading to Wake Forest University in North Carolina. Upon graduation, she began her real estate career in commercial real estate, working for Stream Realty followed by CBRE. She excelled in tenant representation, representing many well known companies, including Invesco and Gardere. Bailey left the real estate world in 2015 to be a kindergarten teacher at West Dallas Community school, where she is still involved today. Bailey is married to Dallas native, Paul Schaufele, and they have a daughter, Molly, and a son, Charlie. She and her family are active members at Highland Park Presbyterian Church. 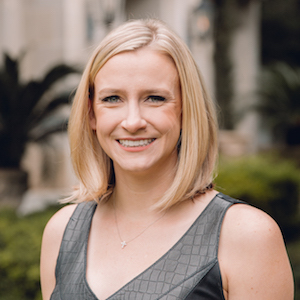 Bailey serves on the Board of Directors for West Dallas Community School, where she is the head of the Development Committee. Whether you are a first time home buyer or are searching for your perfect forever home, Bailey is an incredible source for all of your residential real estate needs. She will ensure that you meet your match.